The Compound Interest Book – Now Available! 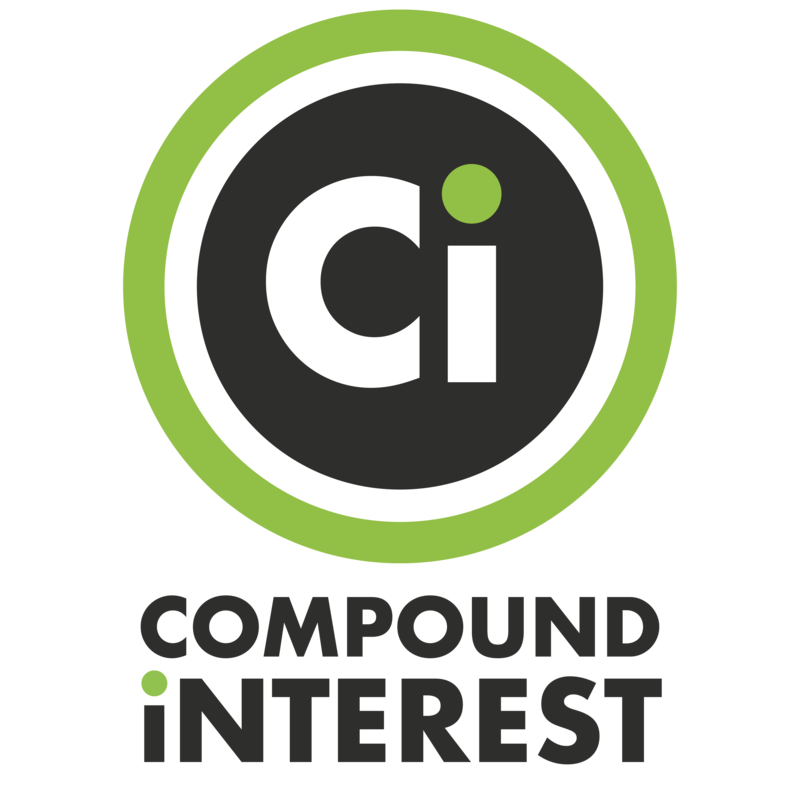 If you didn’t already know, the first Compound Interest book is now available! 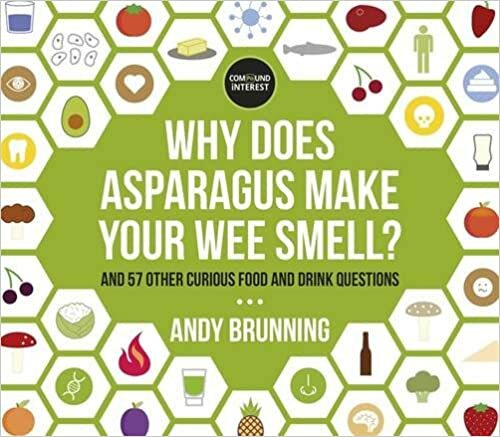 “Why Does Asparagus Make Your Wee Smell?” features 58 different graphics and explanations on the chemistry of food and drink. Though a few have been featured on the site previously, all of the graphics have been redesigned for the book, and a large number of them haven’t been featured on the site at all! 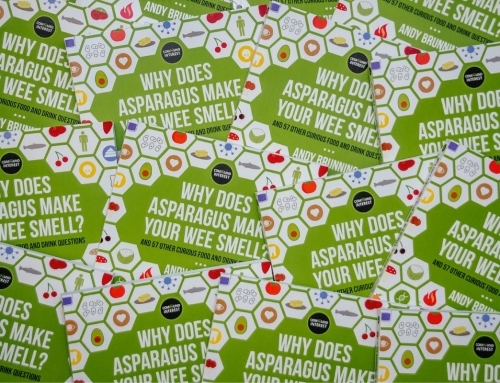 The book is only published in the UK so far, but publication is also planned in Germany, the United States, and the Philippines. It might well make it elsewhere too, but these are as yet the only countries where further publication is confirmed. That said, a number of sites offer worldwide shipping (for example, the Book Depository), so if you’re not in any of those countries but still want to get your hands on it, it’s still possible! 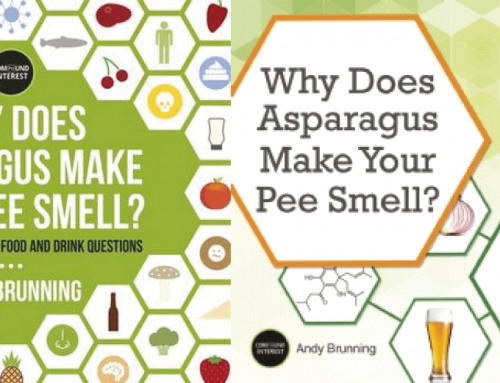 It’s been great to see that the book’s also been getting a fair bit of attention! 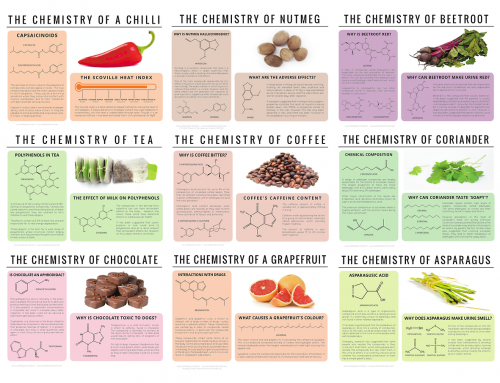 Some extracts were featured in The Sunday Times (£) last weekend (see the image above). It’s also been mentioned in The Telegraph, and a single excerpt was featured on Buzzfeed. Book release week has meant I’ve been a little on the busy side, so if you’re an email subscriber and you’ve wondered why no new posts have been landing in your inbox, that’d be why! However, I did put together some summary graphics for the Nobel Prizes in the Sciences this week, which you can view here. There’ll be an excerpt to come from the book tomorrow as well, if you’re interested in seeing more of the content. Finally, thanks again to all of you reading the site. 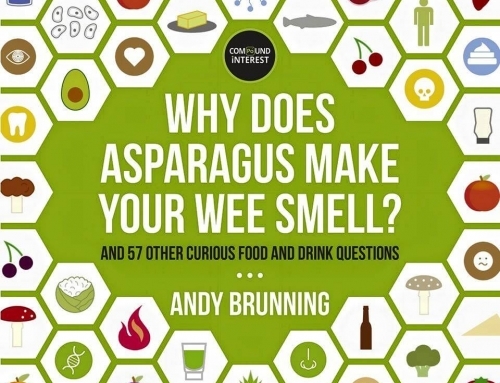 The book wouldn’t have been possible without all the people who enjoy and share the posts, and I hope that those of you who purchase it enjoy learning about more weird food chemistry!